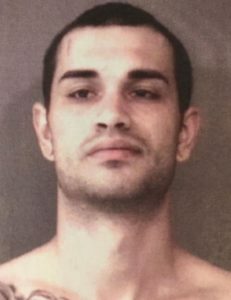 KOSCIUSKO — Three Kosciusko County men were arrested after a Tuesday, June 5, incident where shots were fired at a female. Seth James Deamaral, 11256 North CR 450E, Syracuse, is being charged with criminal confinement, a level 3 felony; possession of a firearm by a serious violent felon, a level 4 felony; intimidation with a deadly weapon, a level 5 felony; criminal recklessness with a deadly weapon, a level 6 felony; and possession of methamphetamine, a level 6 felony. 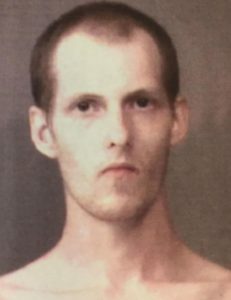 Dale Birch Stephens, 606 E. Clark St., Warsaw, is being charged with criminal confinement, a level 3 felony; intimidation with a deadly weapon, a level 5 felony; and carrying a handgun without a license, a class A misdemeanor. 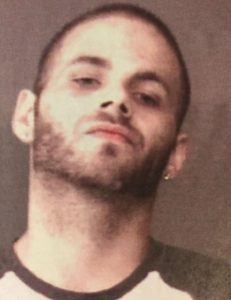 Douglas E. Marsillett II, 3750 Lake City Highway, Warsaw, is being charged with criminal confinement, a level 3 felony; possession of a firearm by a serious violent felon, a level 4 felony; and intimidation with a deadly weapon, a level 5 felony. According to the affidavit of probable cause, on June 5, officers responded to a report of intimidation and shots fired at a residence. When officers arrived to the scene, they saw Deamaral and Stephens standing by a white Ford vehicle. Officers looked inside the vehicle and noticed a military style rifle. Officers located Marsillett hiding in the garage of the residence. On the opposite corner of the garage, officers noticed a 22 caliber Hi Standard handgun and small 380 caliber handgun. Inside the residence, officers located a female subject. The female stated that she was in the residence and looked outside, noticing a white Ford. Stephens came to the door and said that he wanted to speak with a male subject on the telephone. Stephens stated that the male owed them money. He then told the female to check the mailbox because they were expecting a package to be delivered. As she checked the mailbox and walked back toward the residence, the white Ford drove up with Stephens, Deamaral, and Marsillett inside. Deamaral was operating the vehicle during the incident. According to the affidavit of probable cause, the female saw Stephens holding a handgun and she believed it was fake, causing her to shove the gun away from him. Deamaral then displayed a handgun, stating, “This is for real,” and fired through the passenger window in the female’s direction. The back door of the vehicle opened and Marsillett grabbed the female, pulling her inside. As they drove down the road, the three males stated that the incident wasn’t about her. They wanted to speak with the male subject, saying that when he arrived, they would take him to a barn and kill him. As they drove back to the residence, Marsillett had a handgun and attempted to hand it to the female. She told him she did not want it. Stephens stated that he had possession of a handgun he had obtained from Marsillett. Marsillett told officers that he thinks the incident is related to drugs and money. While searching Deamaral’s person, officers discovered a plastic bag that tested positive for methamphetamine. Deamaral admitted that they were looking for a male subject, believing they were at the location to trade guns for heroin. He also admitted that he is a convicted felon from California. Stephens, Deamaral, and Marsillett were booked into the Kosciusko County Jail on June 5. There are no bonds listed for any of the individuals.